Today’s announcement is an important milestone in our joint efforts to combat offshore tax evasion and make our tax systems more efficient and fair. This agreement implements FATCA in a way that is targeted and effective, while also providing a foundation for further international coordination. So, FATCA is about catching tax cheats, right? How many people remember that in Geither's 2009 Senate testimony on his confirmation hearing, Geithner apologized for not paying $34,000 in taxes. Apparently forgetting $34,000 in taxes was a "careless mistake" (his words, not mine). And then there's Senator John Kerry, the former Democratic presidential candidate, who was one of the senators who introduced FATCA. Seems he owns a 76-foot New Zealand-built Friendship sloop with an Edwardian-style, glossy varnished teak interior, two VIP main cabins and a pilothouse fitted with a wet bar and cold wine storage. However, he berths this yacht in a state he doesn't live in and, as a result, dodged almost half a million in sales tax and about $70,000 a year in excise taxes. Meanwhile this multi-millionaire tax dodger is going after alleged offshore tax dodgers. Or you may remember Representative John Tierney, a man who has tried to bankrupt US expatriates living abroad by forcing them to pay full taxes to both the US and their country of residence. He may be clean, but John Tierney's wife was convicted of tax fraud. Millions of dollars were involved and both the Representative and his wife deny knowing about the alleged fraud (though she pleaded guilty). She got a mere 30 days in jail for this. While it's mildly interesting that so many tax dodgers are so gung ho about going after alleged foreign tax dodgers, why bring this up again? Because there's another bill before Congress to remove the Foreign Earned Income Exemption. If the bill passes, the FEIE would be phased out over five years. Removing the FEIE would bankrupt many Americans and force them to move back to the US. Do Americans at home really want a bunch of bankrupt, unemployed Americans moving back and competing for already scarce jobs? (I could talk about fairness, but it doesn't appear to be an issue that resonates with many homelanders when it comes to expats). Given that most expats abroad didn't even know about the US's unique practice of taxing her citizens abroad, you might think that the IRS would offer some sort of program to help people straighten out this mess. Unfortunately, they haven't. 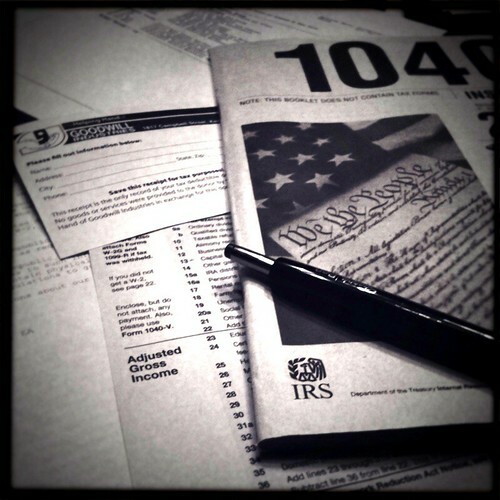 The Offshore Voluntary Disclosure Initiative, or OVDI, was an attempt by the IRS to help expats, but OVDI, like its successor, OVDP, starts as a criminal process and you, the hapless expat, have to prove your innocence (and pay $8,000 to $16,000 for the cost of preparing eight years of tax returns). Or you could pick the new, streamlined process where the IRS offers a true amnesty: but only if you meet vaguely defined criteria. If you don't, you're not even eligible for the OVDI programs. In short, the IRS has never offered a true amnesty for the millions of Americans abroad who are caught in this mess. Oh wait! That's not quite true. The IRS has, once, offered a true and full amnesty to US tax payers with assets abroad. In 2009, wealthy Americans who were knowingly hiding money in Swiss banks were offered the opportunity to declare their Swiss assets and face no criminal prosecution. Now think about that very carefully: FBAR, FATCA, the Ex-PATRIOT act and the repeated attempts to destroy the FEIE are all attempts by the US Congress to go after the alleged hordes of wealthy Americans abroad. Yet the only amnesty offered to the people caught up in this mess specifically targeted those the US Congress was going after. Why yes, I do have a problem with that. Update: How could I forget Representative Charlie Rangel, the sponsor of FATCA? How does Charlie Rangel keep his job when he repeatedly gets caught not paying his taxes? I can't even get people around me to care that Medicare is about to get hacked up. Getting them to care about anything happening overseas is hopeless. Makes me want to scream. Wish I could imagine any way to help with this. This article would be great to post over at Isaac Brock. Great post, Curtis. You do a beautiful job of exposing the hypocrisy of US lawmakers. Yes, the Foreign Earned Income Exclusion is YET AGAIN under attack. I suspect it's going to go because it will raise revenue and because we don't have enough representation in Washington to be able to fight it effectively. Not too long ago Phil Hodgen gave his unvarnished opinion to Americans abroad contemplating renunciation. He said, "Get out while you can." I hate to say it but I think he's right.